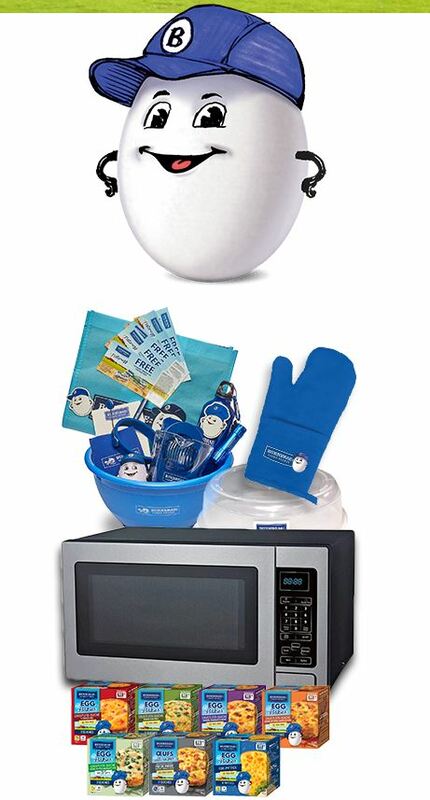 Enter the Burnbrae Farms EGG Bakes Contest to get a chance to Win 1 of 5 $250 prize packs including a microwave and gift basket. Contest is open only to legal residents of Canada who have reached the legal age of majority in their province or territory of residence. To enter you have to visit he official contest web site and fully complete the online entry form with the required information including name, last name, address, city, province, postal code, phone number, email address and your answer to a skill testing question. This contest closes on July 1, 2019. Winner will be contacted by email. There are 5 Grand Prizes available, each consists of a .7 cubic foot Microwave, $50 in product coupons and Burnbrae Farms merchandise pack. The Burnbrae Farms EGG Bakes Contest runs from 12:00:01 a.m. Eastern Time ("E.T.") on March 15th, 2019 to July 1, 2019 at 11:59:59 E.T. The draw will take place on July 3, 2019. Winners will be contacted by email.